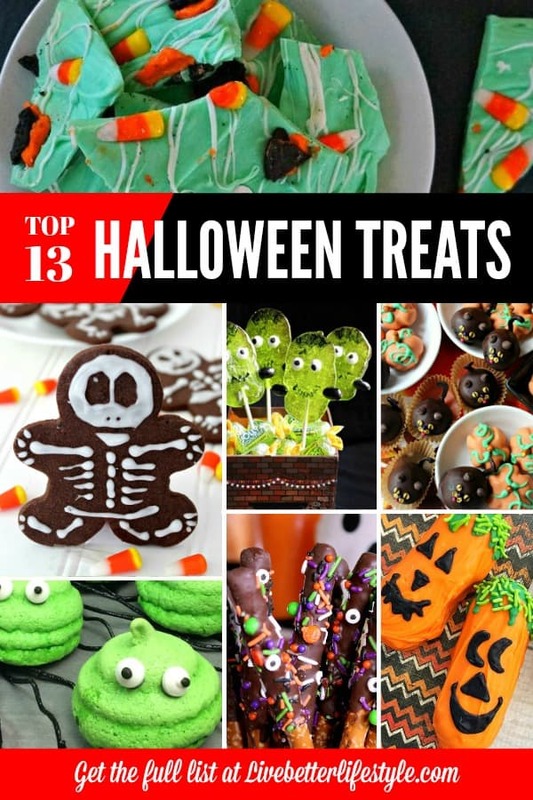 Need inspiration on Halloween Treats for Kids that are easy to make? Try these no-brainer recipes that you can make in no time! Halloween is one of the many holidays that you’ll need to prepare in advance. Things like decoration and treats would be the most painful things to do especially when you are a busy mom. Whether you are making your own Halloween family party at home or giving treats to the neighborhood kids. You are most definitely want to save some money before the big holiday come, which is Christmas. To help you with that I have rounded up some frugal recipes that you can make together with your family. Most of them are super easy-to-make recipes. 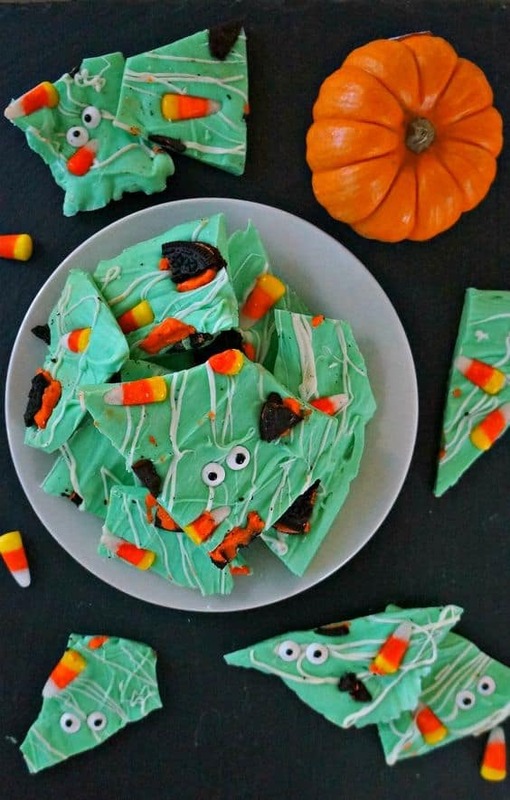 Let’s make these easy Halloween treats! When it comes to Halloween I prefer cutesy costumes/decorations to spooky ones. 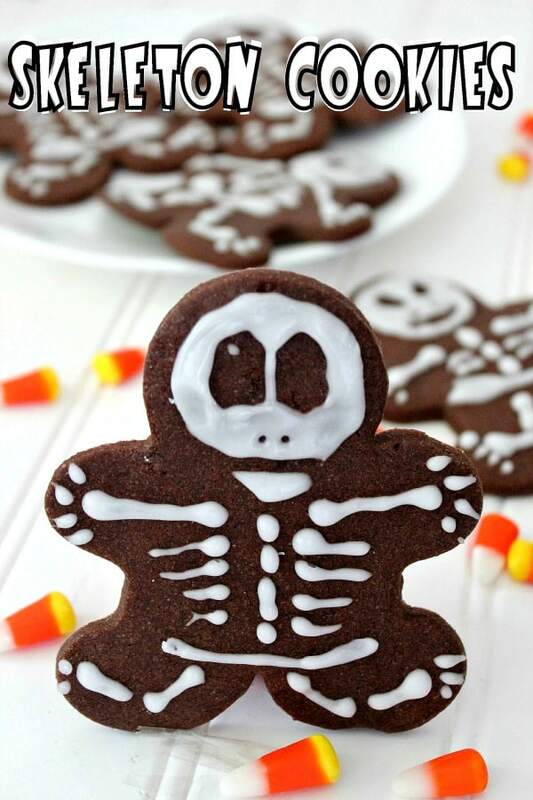 These crunchy chocolate skeleton cookies are a little bit spooky without being too much. 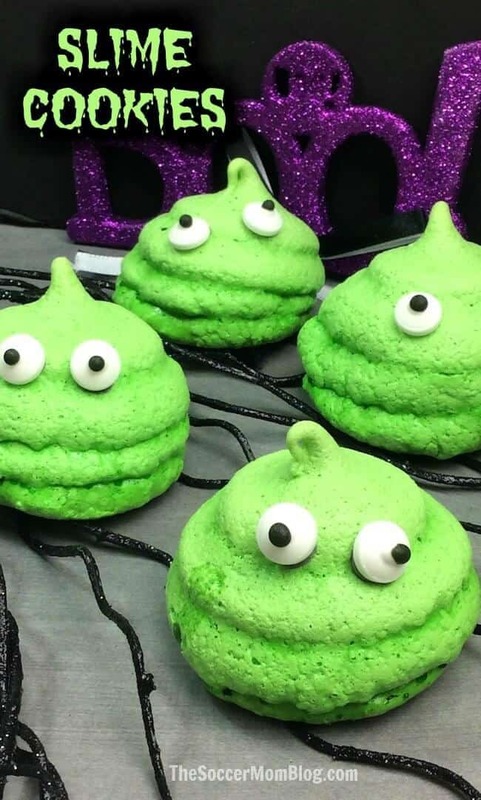 Bright green spooky slime cookies that are perfect for Halloween or anytime for your favorite slime fanatics! A slime recipe you’re supposed to eat! 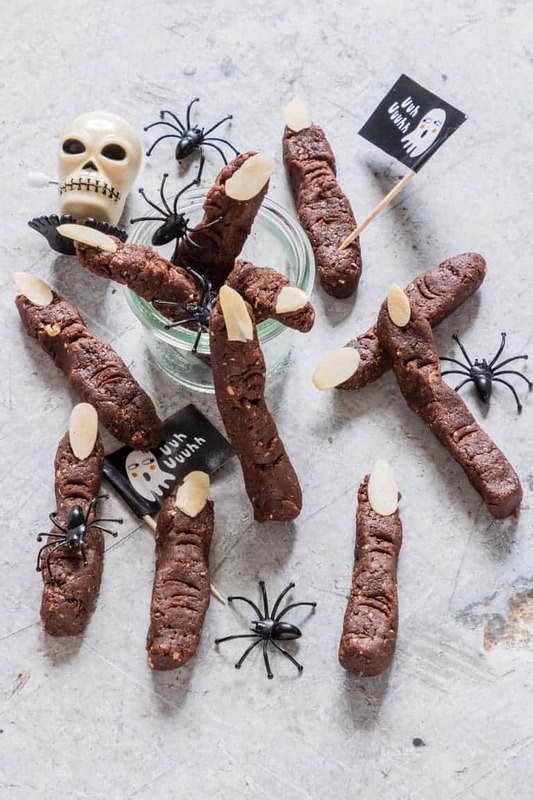 These Zombie Fingers Halloween party favors are no-bake Halloween treats that kids and adults alike will love. They are suitable for Gluten-Free and Vegan diets too. 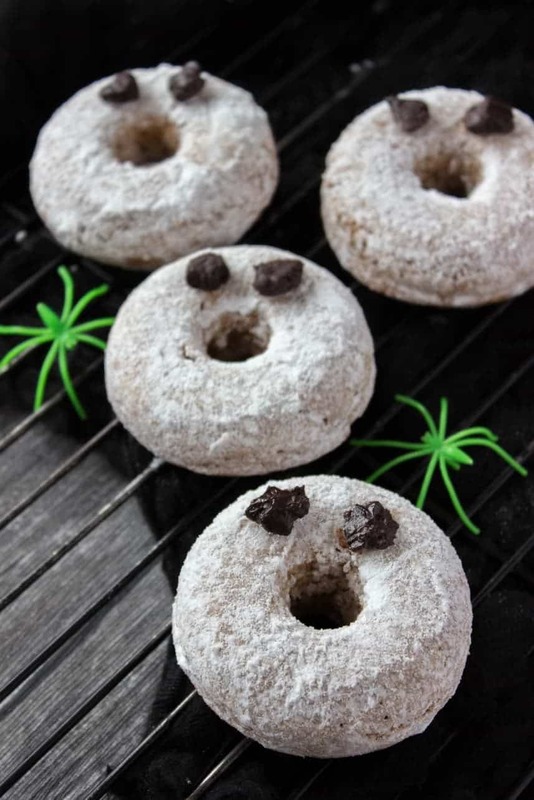 Sweet vanilla flavored Halloween Ghost Donuts are perfect party treat. These donuts are made with all HEALTHY wholesome ingredients, without refined sugars and extra fat. Super low-calorie and super scary. BUU! 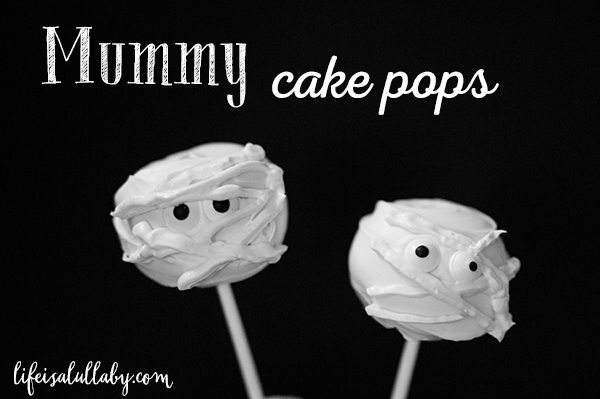 Learn how to make these adorable Mummy cake pops. This is the easy way to do it! Hope these provide you with some ‘tricks’ and a little bit of ‘treat’ with your family. 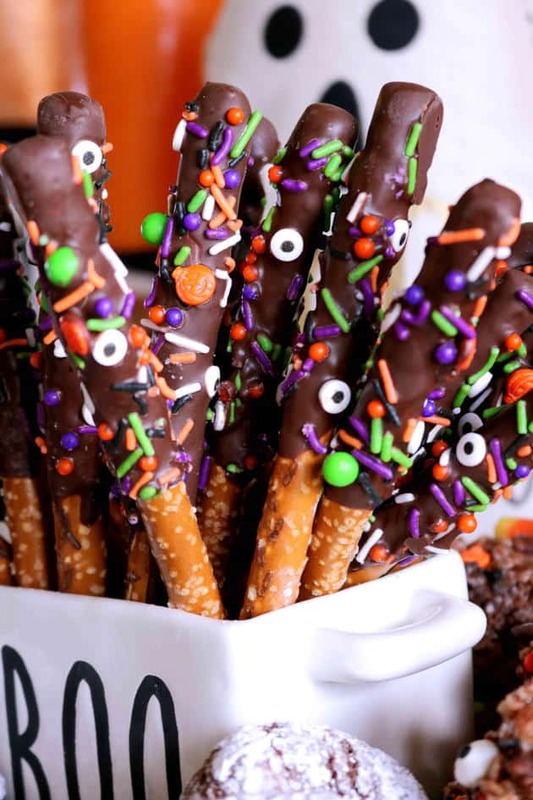 Easy Halloween pretzels are the perfect Halloween treat, featuring chocolate covered pretzels and festive sprinkles! Halloween mummy pies are a fun and easy way to make spooky food! 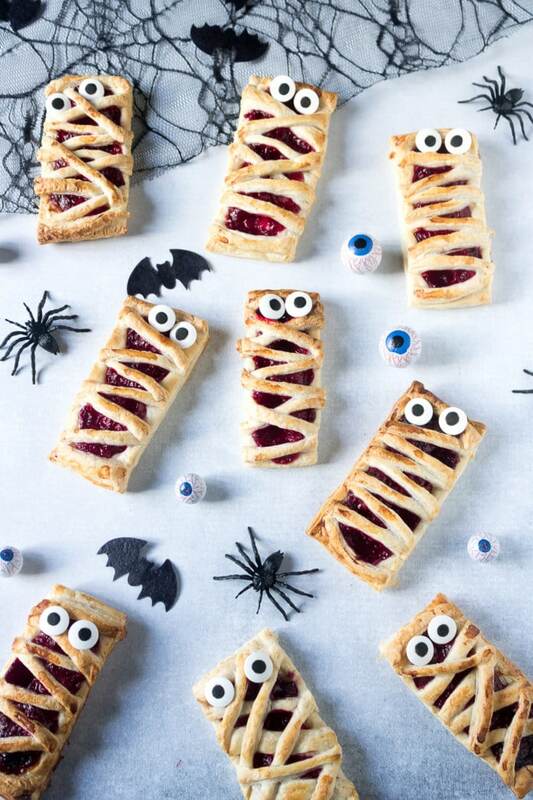 They’re easy Halloween party food and delicious and made with fresh or frozen raspberries – or even jam to make them super quick and easy. 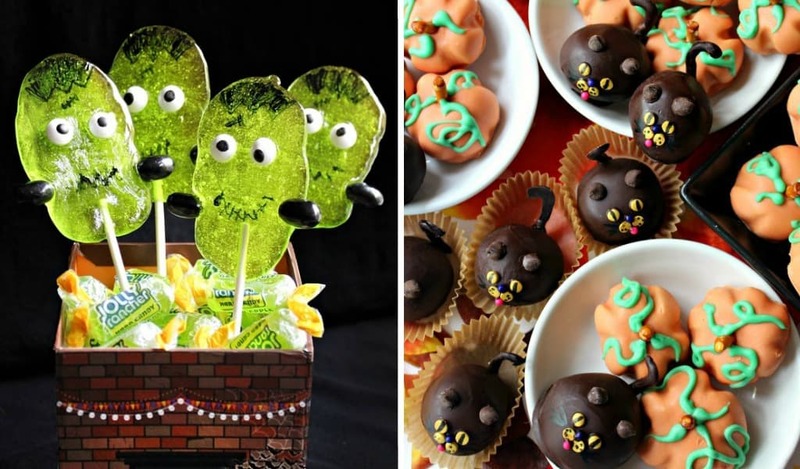 You don’t need lightning or a fancy laboratory to make these adorable Halloween creations. 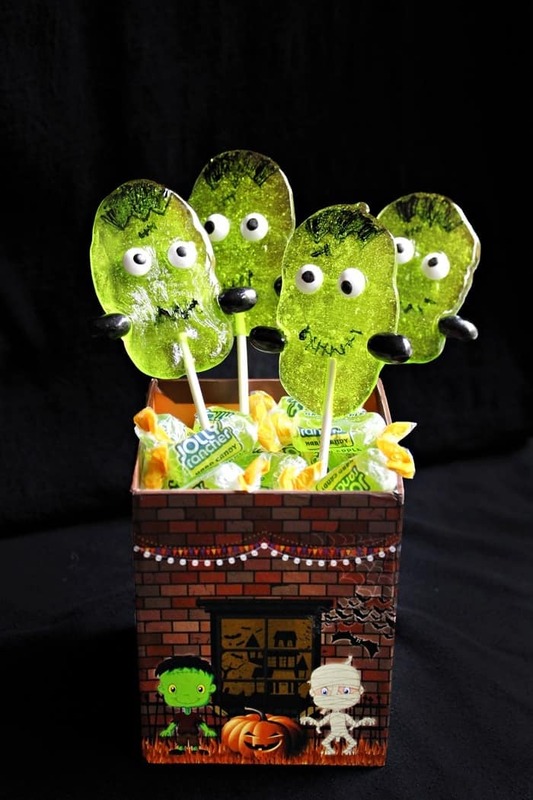 These cute Frankenstein Suckers are made using Green Apple Jolly Ranchers! Being the cute food crazy mom that I am I insisted they let me choose the food if they were to have a Halloween Party. I pitched the idea of Pumpkin shaped Rice Krispie Treats to each of them. Amazingly they all agreed that they would be perfect (yes, they agreed on something, haha). Needless to say, these cute little pumpkins were a hit with everyone. 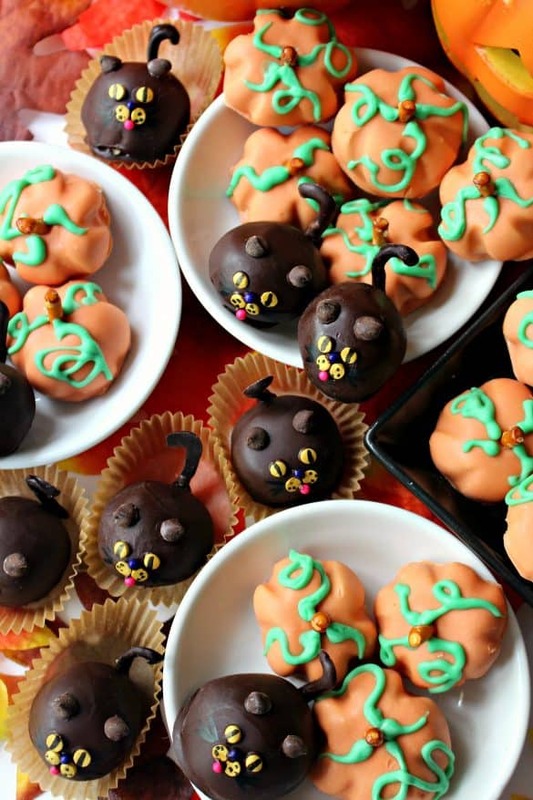 Peanut Butter Ball Pumpkins and Cats are the answer to your search for Fall or Halloween cuteness. This spooky monster Halloween bark is filled with sweet treats and creepy eyeballs, sure to delight your guests. These Harry Potter chocolate frog candies boxes are a perfect way to add a little extra special touch to any Harry Potter party or viewing event! Halloween desserts should be fun and not complicated. 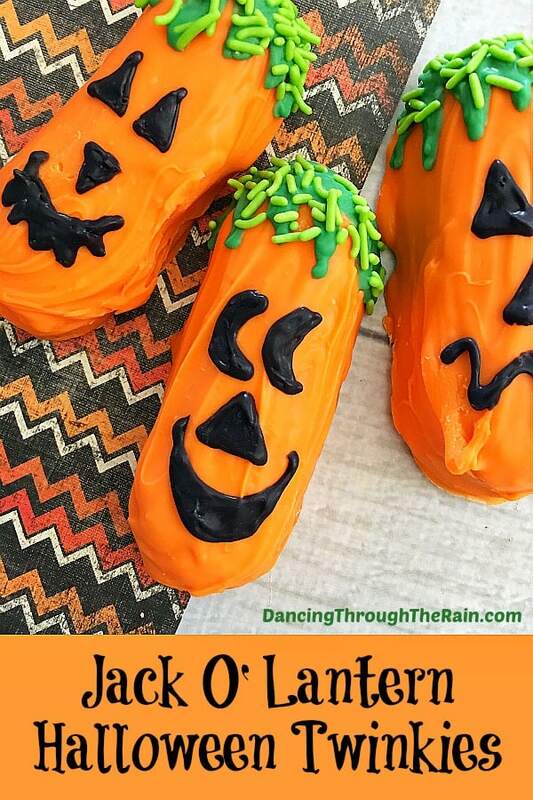 These Halloween Jack O’ Lantern Twinkies look super cute and they’re actually very easy to make! 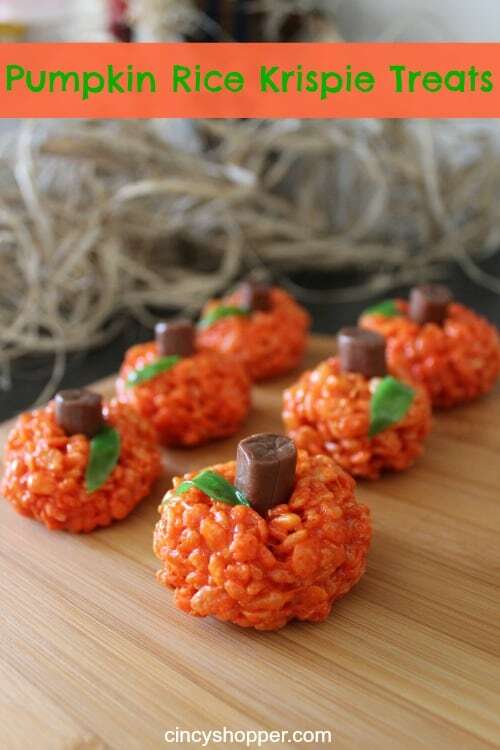 Making these Halloween treats with kids would be a fun activity to do. Plus homemade treats would be more appreciated and have a personal touch to it. Which one would you want to make? Leave a comment and share your thoughts.